Creative and original Michele Ponseti, aka DJ PonFetti, entered the music industry in 2013 after moving to Lynchburg, Virginia from her hometown, Warwick, Rhode Island. In just a few short years, she had made a name for herself spinning in cities across the country. ​While in Lynchburg, PonFetti quickly earned a reputation for her daring hip-hop sets. With the thrill of performing and a passion for music driving her forward, she was soon spinning regularly at Gud Timz Hookah Lounge in Forest, Virginia. From there, she went on to be featured on Lynchburg radio station Hot 103.9 on the Tony Camm Show and began to build a loyal following. As she progressed as a performer, PonFetti made the move to Virginia Beach in 2015 and began headlining local clubs, including Shaka's Live and Central 111. A crowd favorite, DJ PonFetti began specializing in everything from nightclubs and bars to school events, fashion shows and festivals. By August 2015, PonFetti had taken to the stage at DJ Expo in Atlantic City for Peavey Electronics. There, she performed an epic set on the DJ Times main stage as well as at Peavey's booth. 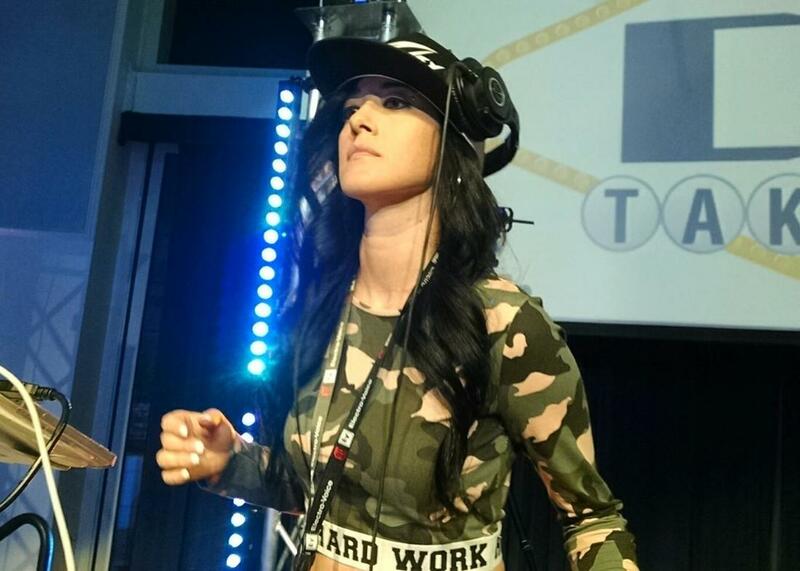 By the end of the year, she had officially become Peavey Electronics first sponsored female DJ. In December 2015, Mobile Beat Magazine featured PonFetti in an article titled "DJs Spin On Peavey." Then, in March 2016, PonFetti hit headlines again for her performance with Peavey at Mobile Beat Las Vegas, and appeared on the cover of Peavey Electronics DJ catalog. Currently based in Virginia Beach, DJ PonFetti keeps a full schedule, sometimes spinning up to 8 events per week. She has DJed for as many as 3,000 people at sold out events including Drink the District's Hampton Roads Beer Festival in Norfolk, Virginia and the Downtown Countdown in Washington DC. ​Diverse, unique and talented, PonFetti now spins at venues all over the East Coast on top of performing regularly with Peavey at DJ conventions nationwide. She's also making hit edits for BPM Supreme record pool, some of which have hit #1 in remix downloads for the month. DJ PonFetti was featured again in Mobile Beat Magazine in September 2018 in an article titled "Respect," which centered around what it takes to be a successful female in an industry dominated by men.